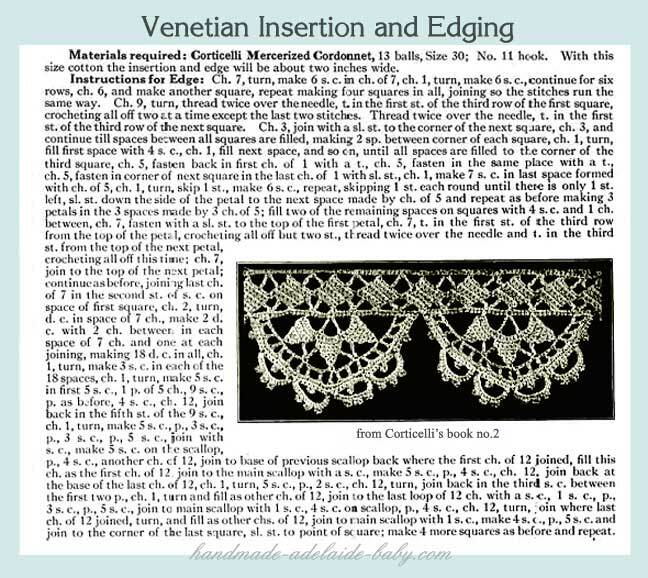 Alovely lace edging from antique pattern books can add the finishing touch to your beautiful homemade baby gifts. A simple flannel baby blanket (left) is embellished with a lovely shell border in ecru. 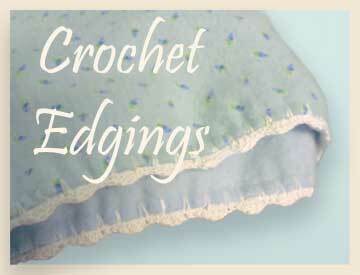 A crocheted edging adds such a lovely finish to baby blankets, bonnets, and layette. Even store bought clothing is sweeter with your handmade touch...a little border of lace at the neck and sleeves. There are many other lovely free baby patterns offered here, as well as wonderful ideas for homemade baby gifts. 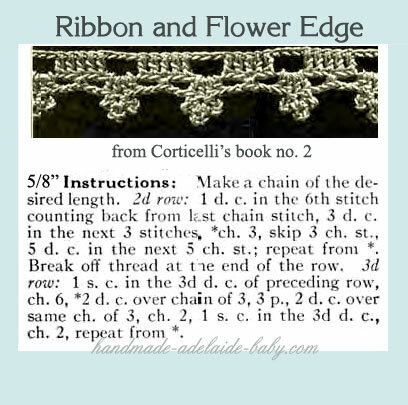 Discover more crochet edging patterns here, in these free baby patterns. This lovely filet crocheted baby bonnet has a simple and delicate picot lace border that would be perfect for a sleeve and neck opening.